More than 40 years after their initial breakup, Big Star's legacy continues to shine. Following its initial, limited release in the mid-'70s, the cult rock'n'roll band's bizarre and beautiful Third is being brought out as a greatly expanded box set featuring 29 previously unreleased tracks. A three-CD package called Complete Third comes out October 14 via Omnivore Recordings, while a vinyl release is expected sometime in the future. The collection comprises the previously issued album, as well as various demos, mixes and alternate versions tracked at Memphis's Ardent Studios in 1974. All told, it offers up 69 songs in total, with 29 of these having never before been released. 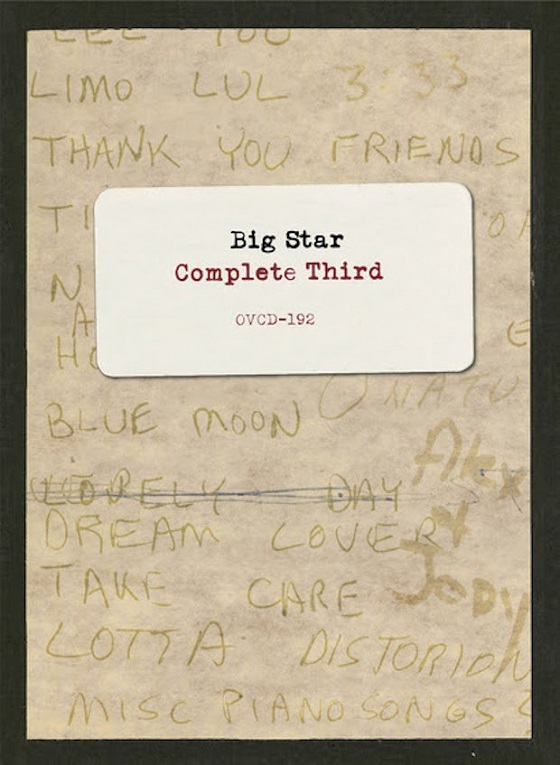 As the name would imply, Third was the troubled third full-length release from Big Star. The record was made following the departure of founding members Chris Bell and Andy Hummel, with guitarist/vocalist Alex Chilton and drummer Jody Stephens choosing to work with a group of sessions musicians for the release. Initially released in a run of promo copies in 1975, it would see release as 3rd via PVC in 1978. It was later pressed up in various guises over the years as The Third Album, Big Star's 3rd: Sisters Lovers and Third/Sisters Lovers. To tease the forthcoming box, a stream has been uploaded for a demo version of album standout "Kanga Roo." Titled "Like St. Joan (Kanga Roo)," you'll find it below, along with the tracklisting info for Complete Third, courtesy of Brooklyn Vegan.